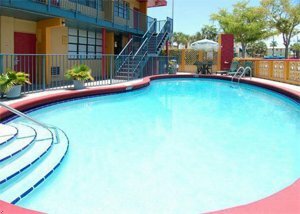 The Econolodge Fort Lauderdale is located 1 mile from world famous Ft. Lauderdale Beach, within walking distance to the Galeria upscale shopping mall, and one half mile from Ruth Chris Steakhouse and other upscale restaurants. The Econolodge is newly renovated and just minutes from all the area attractions and sporting venues. Guests will enjoy our Complimentary Continental Breakfast, the Microwave and Refrigerator in all our rooms as well as our location.